So, after hours of post-recording edits for Episode 11 of the ARG Netcast series, the audio quality for one side of the conversation is terrible at best. Don’t let that dissuade you from listening though, as this week’s roundtable is as entertaining as it is informative. Regular panelists Brooke Thompson, Jackie Kerr, Sean C. Stacey and Jonathan Waite are joined this week by Jessica Price, ARGNet writer and Unfiction forums moderator. Subscribe to the ARG Netcast feed through FeedBurner or via iTunes. The Heroes 360 experience moves along, albeit very slowly. There is a lovely player wiki (yarr, there be spoilers) that has been created, so hopefully the game gains a bit more momentum, soon. Also, see this Blogspot page for more (spoilers ahoy!) information. Meigeist is getting love from afar. They also have a nifty player wiki which will get you caught up in less time than you can say “Save the cat, save the world.” Although, you’d sound silly saying that. Perplex City players are pretty darn close to finding that cube, we hear. Something about a rock, and a Jurassic… something. They also have some pretty cool plans for the reward money. Monster Hunter Club explains away some advertising, and characters show up at the Today show. Puzzle of the week: A grid puzzle needs reconstruction (and deconstruction) for Monster Hunter Club. See this thread at the Unfiction forums for more details. The VirtuQuest people send us a response to our questions about Township Heights. Jackie weighs in on the “mildly insulting” situation. Then the rest of the panel piles on. Check out this beautiful mock-up (totally unofficial, we understand) of the Neowin-Unfiction branded AMD chip. This will apparently be possible thanks to the winner of the meta puzzle of the Vanishing Point game. Neowin/Unfiction for the win! We also report on the now-postponed VP post-game chat with 42 Entertainment, so ignore that part when you get to it. Studio Cypher will be releasing the fourth chapter in their Multiplayer Novel soon, called High Stakes. Jessica talks about her experiences with Ravenchase, which you can also read about in her outstanding ARGNet article. Jane McGonical is going to be the first ever female keynote speaker at the Game Developer’s Conference in March. We couldn’t be happier for Jane and wish her the best! 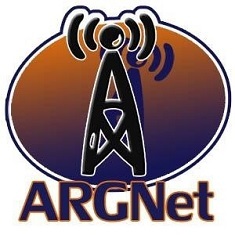 ARGFest is less than a month away. We let the cat out of the bag about ARGNet’s partnership with SXSW for the Screenburn festival. Details will be released in the coming weeks. Brooke will be speaking at the conference, for those who can make it. We talk about how the recent kerfuffle in Boston over the Aqua Teen Hunger Force marketing campaign might impact on alternate reality gaming. This leads into a crazy discussion about pay-to-play and registrations — not to be missed! Charlie wants to know where to find old episodes of the netcasts. Here, Charlie. However, with this being the second request for a Netcasts-dedicated page, it’s something we’ll look at for the near future. Okay, so now the Monster Hunter Club forums have direct post links. We got the message, loud and clear. And, in one jerk’s case, loud, clear and with ubercrankiness. For the record, we talked about this on the last netcast, and the problem was solved shortly thereafter. The infamous Unknown Sender wants to know if there will be another training ARG in the future. We’re not sure, so if anyone out there has an answer, let us know. The blessed Thunderwolf sends in a player summary for Meigeist, which will be in tomorrow’s online edition of ARGNet. Thanks, Karl! Superbowl predictions — not that they matter now, since the game is over (yay Colts!) but here were the picks: Sean took the Patriots, Jackie chose the Ravens, while Brooke, Jessica and Jonathan all picked the Colts. Then Brooke almost changed her mind. Oh, hindsight, you wicked beast.